Water and sacred land protectors near the Standing Rock Sioux Reservation in North Dakota are facing a formidable foe. Months of prayerful and peaceful protest have come under additional assault with the sale of private land adjoining the protest area to Dakota Access LLC. 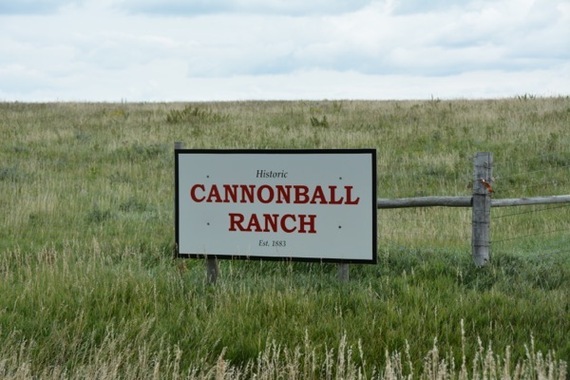 The Dakota Access Pipeline now owns the Cannonball Ranch, where there are known and unknown burial grounds. This puts additional mapping of spiritual sites essential to tribal identity in jeopardy. Adding to the insult and uncertainty, there is a 1500-foot easement on either side of the property, according to protest spokespeople. In an emotional appeal yesterday at the Protecting Native Land and Resources, Rejecting North Dakota Pipeline Forum, Tribal Chairman Dave Archambault II invoked the memory of Sitting Bull as he pleaded for a future that includes clean water for future generations. Sitting Bull came from Standing Rock and one the most famous quotes that he has is, "Let's put our minds together and see what we can build for our children." So today as this is the topic, something that guides us in our decision-making as leaders: We are putting our minds together so that the kids, the ones not yet born, have something better than what we have today. At the same forum, Archambault broke the news that the Cannonball Ranch was sold to the pipeline company. So the owner of the Cannonball Ranch, where we're demonstrating, what we're protecting, has now been sold to the pipeline company so it's really disturbing to me because the intention is all wrong. Without having any further review and without understanding what the process was... it's not fair. It's not right and the company is going to try to move forward without any consideration of tribes. This move by DAPL interests is more than unfair, especially since the Sioux Nation has followed the letter of the law in opposing this assault on their safety and sovereignty. Prayers have been met with attack dogs, blockades re-routing traffic routes to the reservation, low flying planes constantly buzzing the encampments of the water protectors, and the militarization of roads by the National Guard. The whole world is watching, but will goodwill overcome the deep pockets of DAPL interests? This week, the Tribal Chairman spoke before a United Nations human rights forum in Geneva Switzerland. Archambault addressed the 49-member Council in a brief testimony where he asked "all parties to stop the construction of the Dakota Access Pipeline." Sovereign rights established by treaty are ignored on a daily basis. The courts have failed the Sioux Nation. The land sale explains in part why the U.S. Army Corps of Engineers has issued a gag order that comes from the Washington D.C. Headquarters, according to a source we spoke to at Corps headquarters. Last week the Corps issued a Special Use Permit to the Standing Rock Sioux Tribe. In somewhat obtuse language the press release said the permit "allows the Tribe to gather to engage in a lawful free speech demonstration on Federal lands designated in the permit. The "special permit" issued to the tribe for assembly and free speech on the south side of the Cannonball River, but not the north side where the main camp is established, now makes sense. 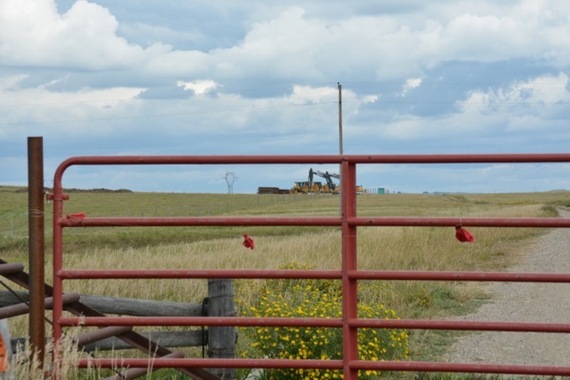 The permit cited vague "grazing rights," but it seems clear now that the Corps knew about the imminent land sale and the easement. In another "fait accompli" similar to the bulldozing of ancestral gravesites, DAPL has signed the papers and transferred the money. Another worthless "treaty" with the People, fraught with trickery, can now be added to the misery inflicted upon the Sioux Nation. Constant emails and phone calls to the press officer in charge of inquiries regarding the special permit have gone unanswered. Phone messages left for personnel in other departments go unreturned. It seems the gag order remains in full effect.